Designed to relieve back pain, restore the ability to work and play, improve health and quality of life, this program will also help people in wheelchairs and with other medical conditions. 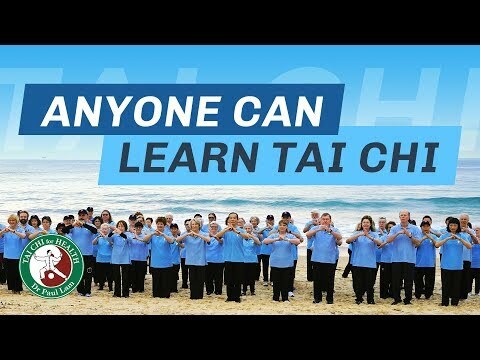 This Tai Chi set is adapted from Tai Chi for Arthritis with additional material and focused on back pain. How to Learn Tai Chi for Back Pain? Learning tai chi can be a most enjoyable and rewarding experience. As you embark on your journey to learn tai chi, take the time to find the best and enjoyable way for you. 1. Join a class with a Tai Chi for Back Pain certified instructor. Alternatively you can use Dr Lam’s step-by-step instructional Tai Chi for Back Pain DVD. 2. Persevere with your practice. Give yourself time to absorb and understand the essential principles of tai chi – this will enable you to enjoy your practice, gain health benefits and progress steadily. 3. Consider finding a teacher if you have not joined a class yet. 4. Keep an open mind to different aspects of tai chi. You can use Dr Lam’s tai chi books and articles to learn more about tai chi.